Welcome, all, again. 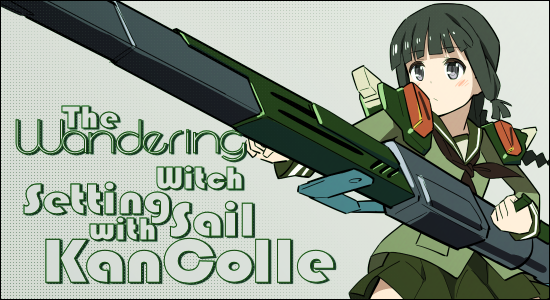 Today’s discussion will be about KanColle, which is set in an alternate timeline in which young women are presented as the [spiritual] personifications of World War II warships. They fight to preserve the seas against the Abyssals, an aggressive alien power. These “ship girls” appear to skate across water (a quick glance at the heels of their shoes will reveal rudders). When they put to sea, they wear a spine of rigging and carry guns; destroyers also wear torpedoes on their thighs, while aircraft carriers shoot arrows to launch planes with chibi pilots. The concept originates with Kantai Collection, an online browser game in which the player assumes the role of Admiral and builds a fleet from available ship girls. The franchise quickly expanded to include multiple light novels and manga series, as well as a tabletop RPG. 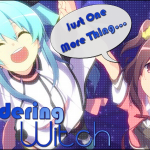 Oh, and there’s also this little anime series for folks like me (non-gamers) who don’t really understand a lot of the stuff I just typed above. (Praise be to Google!) The anime is from studio Diomedea and runs on Tokyo MX; Crunchyroll simulcasts the episodes on Wednesdays at 12:30pm CDT. The anime series follows the career of Fubuki, identified as a special-type destroyer, as she joins the girls of the Naval District. Despite having inadequate combat experience and demonstrating poor ability during training, Fubuki is assigned to the Third Torpedo Squadron. Her timid personality and self-awareness of her poor combat skills make it difficult for her to socialize or make friends. Luckily for her, others in the Naval District are not so inhibited. Mutsuki and Yudachi, fellow Third Torpedo Squadron destroyers, are Fubiki’s roommates and help her transition to base life. Many other ship girls come into her orbit through both training and down time, and Fubuki even develops a fangirl crush on the carrier Akagi of the First Carrier Division. Her training, however, continues to disappoint, and Fubuki’s first combat encounter is disastrous and nearly fatal. She returns damaged and shamed. 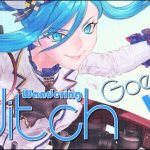 War waits for no ship girl, however, and things continue apace. Fubuki dedicates herself to a harder training regimen, which slowly produces appreciable results. She also continues to gain combat experience, and witnesses the devastation of loss when she returns from a joint mission with the Fourth Torpedo Squadron, only to learn that Mutsuki’s friend Kisaragi was lost during that same mission. But loss comes in many guises, and the girls begin to get reassigned into different groups for different missions. This initially terrifies and saddens Fubuki, but the other girls explain that it is common practice due to the fluid and erratic nature of war. And so is set the course for the series in general, following the girls in port and in combat. 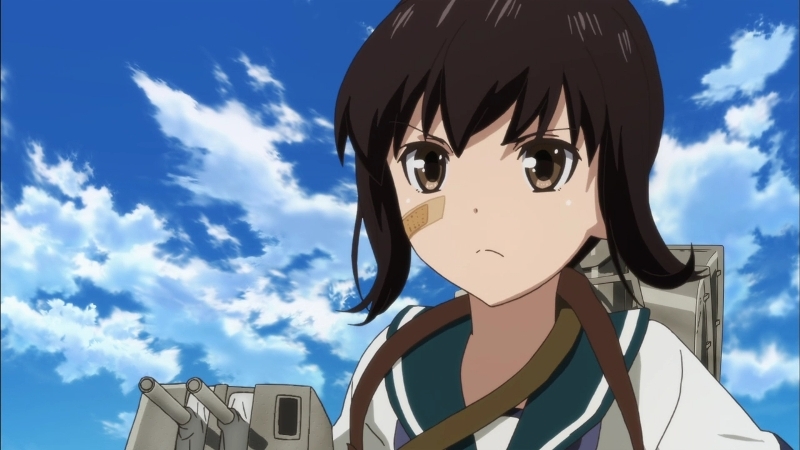 Fubuki becomes flagship of one group on a successful mission, only to be sent to port and watch her group disbanded. Bases are discovered and attacked; lines probed and penetrated. Meanwhile, tragedy stalks all, without favor. KanColle surprised me. 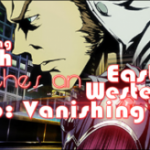 It is a much more interesting and engaging series than I expected it to be. Following so quickly in the wake of Arpeggio of Blue Steel, another series built around a cute girl/naval ship combination, I was concerned that KanColle might have some difficulty establishing its own identity. That concern proved completely unfounded. But the hype surrounding KanColle also concerned me, and seemed a bit off-putting. I understand that when a product is the extension of a successful franchise, it is logically advantageous to advertise it as such. Nonetheless, I feel that an artistic endeavor should both stand and be presented upon its own merits. Additionally, the overexposure of Shimakaze (pun intended!) 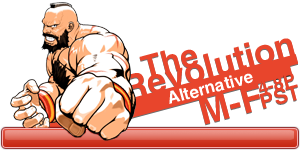 in advertising the franchise made me rather wary of the show’s content. My doubts are overcome! Ignore the hype–yes, the cute girls are here, as promised, as are various revealing uniforms and action sequences. But the show’s real focus is neither moe nor woe. KanColle boils down to a slice-of-life show that just happens to be set in wartime. The series focuses not so much upon war itself, but upon the girls’ interactions with each other as they develop friendships and hone teamwork. We are privy to their struggles as individuals both human and vessel, watching them live almost-normal boarding school lives while in port, only to sail out against a fearsome enemy on ever unpredictable seas. The story-telling is rather subdued for its wartime premise; likewise, the drawing style is unexpectedly soft. Another pleasant surprise is how well slight visual cues convey the bygone era of the story’s alternate timeline, despite the depictions of advanced alien technology and the use of women in combat. 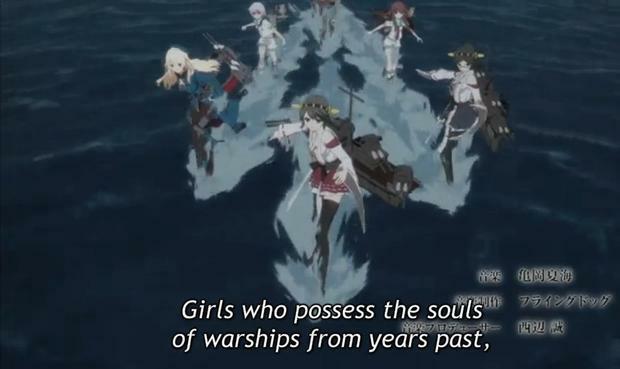 In this regard, it mirrors Strike Witches. Impressive, indeed. 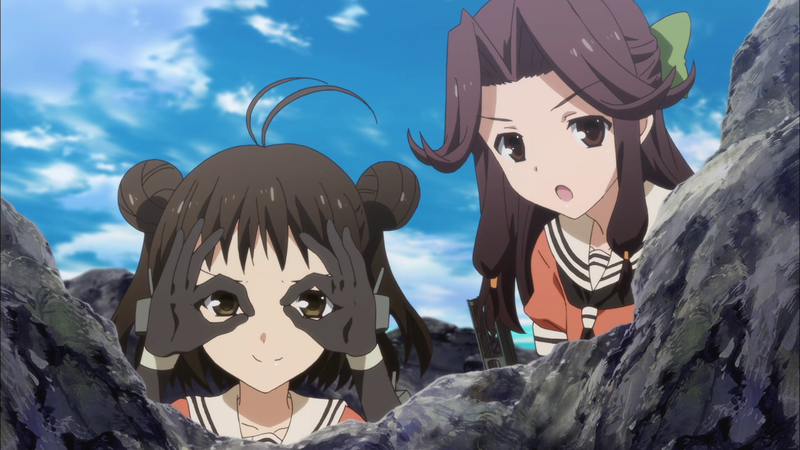 KanColle tells its own story with a quiet panache far more arresting than its preceding hype, so come watch a show that dares to be better than advertised! Me too. I realize that there are other sites, but I don’t even have time to watch everything I want on CR. . .